Amherst Police located a man who suffered a gunshot wound and had been assaulted by a metal pipe on Wednesday, arresting one suspect at the scene. Law enforcement are still in search for another suspect who fled the area. On Dec. 20 at 12:38 a.m., officers responded to a disturbance call in the 500 Block of Mill Valley Estates, Lieutenant William Menard stated in a press release. On the scene, officers located the male victim. From the South Amherst apartment complex, the victim was transported to Baystate Medical Center by the Amherst Fire Department. He is being treated for his injuries, which do not appear life-threatening. The arrested suspect was identified by police as Akieli Brown, 24, of Amherst. Brown was charged with assault and battery with a dangerous weapon—the metal pipe—and was transported to the Eastern Hampshire District Court in Belchertown on the morning of Dec. 20, for arraignment. 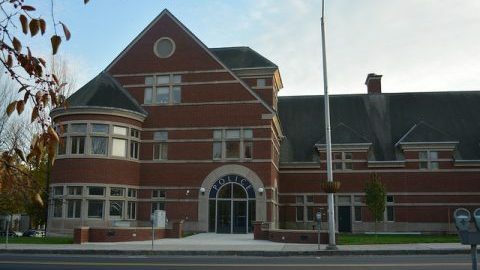 According to the Daily Hampshire Gazette, Brown pleaded not guilty to the charge in court and is being held without right to bail at the Hampshire Jail and House of Correction until a dangerousness hearing Friday. The matter remains under investigation by Amherst Police Detectives along with the Massachusetts State Police Detectives Unit assigned to the Northwestern District Attorney’s Office.